Remote refrigeration, the concept of moving your compressors to an area outside your commercial kitchen, can have many levels of benefit in your foodservice operation. For starters, remote refrigeration can create working conditions that are more ideal in terms of temperature. As just about anyone who has worked in a commercial kitchen knows, hot air is everywhere, and hot air creates ambient temperatures that make productive work difficult. Add in hotter climates or summer conditions, and the heat can be exacerbated. In a cooler kitchen, staff members aren't sweating profusely onto the food products, and they're probably in better moods because the working conditions are more tolerable. 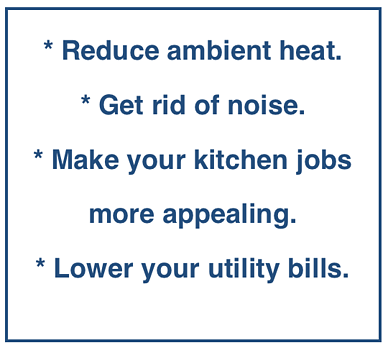 Removing refrigeration from your commercial kitchen will also make things quieter. This, too, creates better working conditions for staff, but it also allows for greater communication. Consider so many commercial kitchens and their lack of space, or think about the need for staff to convey important information. In a quieter kitchen, staff members have a better ability to communicate with one another. This means you can let someone know you're about to walk behind them with a boiling pot of water, and it's probably not a good idea to move right at this very second. These two benefits are obvious. 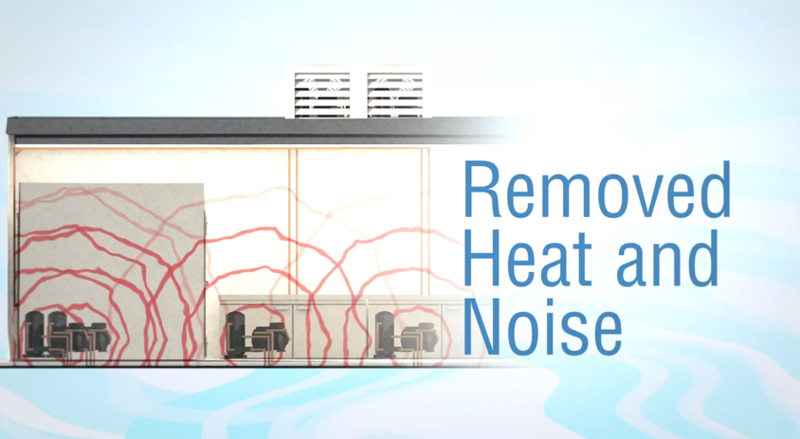 Remote refrigeration certainly leads to removing the heat and noise inside a commercial kitchen. But what are the other benefits of remote refrigeration? There's no doubt about it. Finding and hiring restaurant staff, even some of the top restaurants in the country that are owned and operated by famous chefs, is one of the biggest challenges in foodservice. There are many reasons why it's so hard to find cooks, but foodservice operations that don't create ideal working conditions are not doing themselves any favors when it comes to recruiting and hiring. When you lower the ambient temperature of a commercial kitchen, you reduce the tonnage of HVAC needs. This means the getting rid of hot air and replacing it with makeup air is not as critical. Ultimately, this decreases the utility bills required to exhaust hot air and condition the new air. If a compressor needs to be serviced, the kitchen staff won't have to work around a technician who is there servicing the unit. Self-contained fixtures have an integrated condenser that pulls in dirt, debris, and cooking ingredients. A remote refrigeration unit, on the other hand, will not. Looking for more tips on how to create ideal working conditions while saving money with commercial refrigeration? Join us for a free commercial refrigeration webinar with an industry expert.